From preliminary design concepts and working drawings to construction documents and on-site observation. All with a basis in energy efficiency and resource conservation. Mears Design Group creates specialized landscape irrigation designs to ensure that your landscape receives proper care and maintenance. Accurate mapping of a site is a critical. We use GPS Mapping to plot a site's topography, locate and mark current pipelines, wells, roadways and other existing landmarks. Mears Design Group to create plans that are creative, attractive, yet pragmatic. 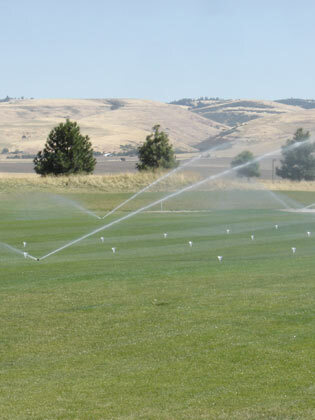 "We have had the pleasure of working with Troy Mears as both a contractor installing irrigation systems and hiring Troy to provide GPS services for our golf course irrigation/ contracting business. 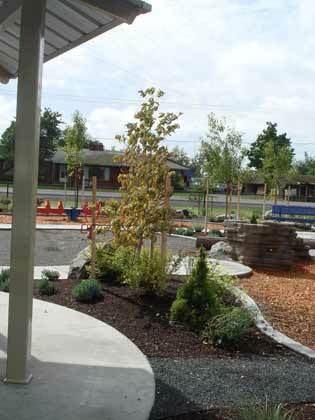 Troy's design plans and specifications are practical and concise. He is extremely easy to work with and his attention to detail and willingness to provide a quality project each and every time is refreshing." James Milroy, Milroy Golf Systems, Inc. Using the latest GPS measurement technologies, we provide centimeter-level accuracy GPS digital mapping services for a variety of applications. The Global Positioning System (GPS) is a location technology developed by the U.S. Department of Defense. It uses a constellation of earth-orbiting satellites to calculate a 3-D position for virtually any location in the world. "The sky's the limit!" when referring to the possible uses of the GPS technology. Mears Design Group provides custom site GPS mapping services. Our services create accurate site information as required during design, construction and management of any particular site. Upon completion of GPS mapping services our drawings can be uploaded into a variety of different software. We also provide hardcopy plans/booklets if desired. Site Data Collection: square footages, points, material quantities, elevations, structures, water features, circulation pathways, roads, drainage features, utilities. Natural Systems: wetland maps, tree inventory, mitigation areas, drainage/erosion control maps. As-builts: Irrigation, Drainage, utilities, critical crossings. GIS Data: GPS mapping is the core ground-collected data to base an accurate GIS database project. 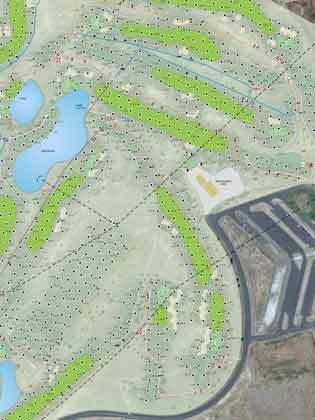 Golf Courses: Head Staking, square footages, points, cart path layout, elevations, as-builts, yardage booklets, central control map implementation.